The inspiring story of how the Abundant Life Church, a comfortable, predominantly middle class, financially secure, "good" church, became an outreach centre to their local community in Bradford, England, and a resource centre for Christians across the world. Paul Scanlon is senior pastor of Abundant Life Church, Bradford, England. His ministry touches millions of lives each week through the TV program and magazine, 'A Voice To The Nations'. His teaching aims to provide practical tools to equip the Church worldwide. Over recent years, Paul Scanlon and the leadership team of Abundant Life Church, Bradford, have built a vibrant and dynamic church that is reaching out to one of the most multi-ethnic cities in Britain. 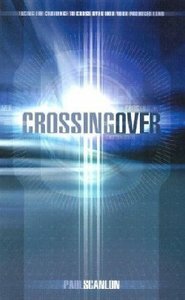 In Crossing Over Paul shares the vital principles that have helped shape the church and enabled it to "cross over" into God's purposes as Israel crossed the Jordan into their Promised Land. This book will show you how to escape the limitations of the past and embrace the future with hope. This book is the product of a journey. A journey that the leadership team and church family of Abundant Life Church in Bradford undertook in order to enter into and possess the "land" that God had promised them. At times the journey was costly and they were frequently misunderstood, but it was one that took them from being a comfortable, predominantly middle class, financially secure, "good" church, to being an outreach center to the local community and a resource center for Christians across the world. The many lessons they learned from their journey and subsequently shared with others have resonated with individuals and churches throughout the world. Now these principles are shared in this book for all who seek to draw inspiration, strength and encouragement to "cross over" their own "Jordan" - whatever form it takes - to escape the limitations of the past and embrace the fullness of God's purposes. Book jacket.